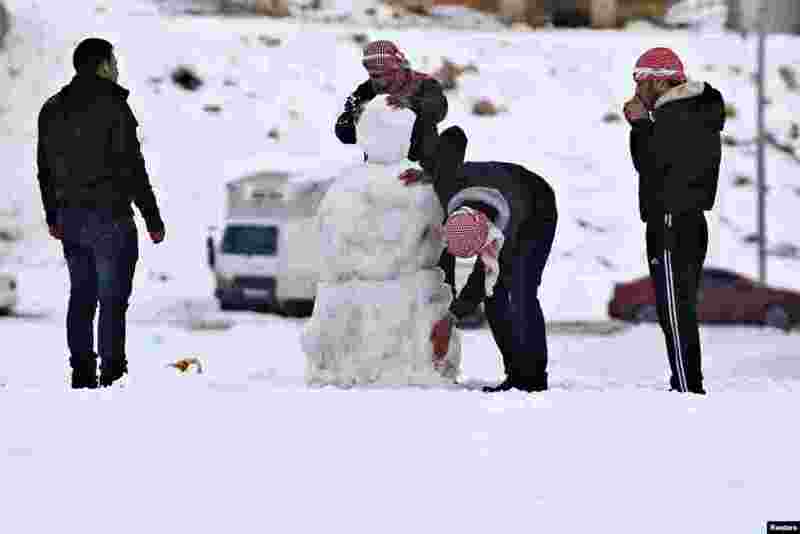 1 People play with snow after a heavy snowstorm in Amman, Jordan. 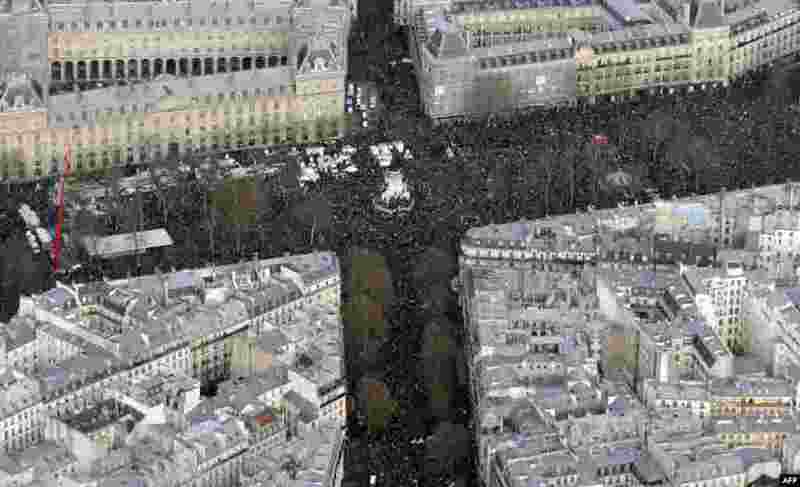 2 Aerial view of the Unity rally “Marche Republicaine” at the Place de la Republique in Paris, France, in tribute to the 17 victims of a three-day killing spree by homegrown Islamists. 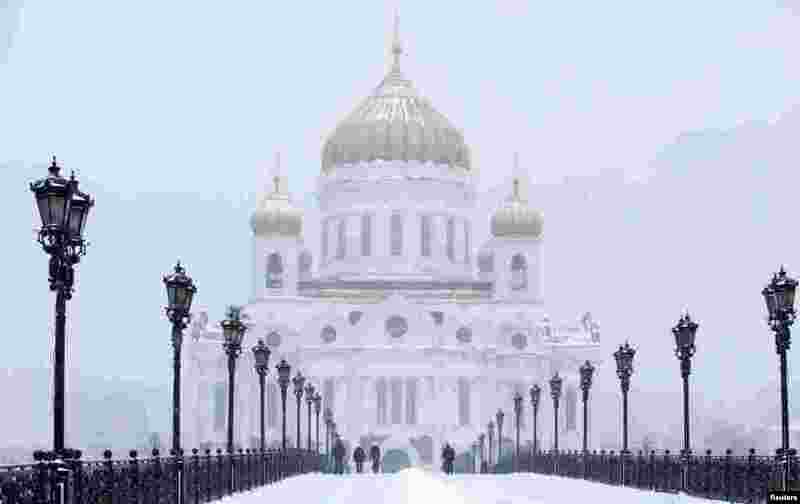 3 People walk along the Patriarchal Bridge over the Moskva river near the Cathedral of Christ the Saviour as it snows in central Moscow, Russia. 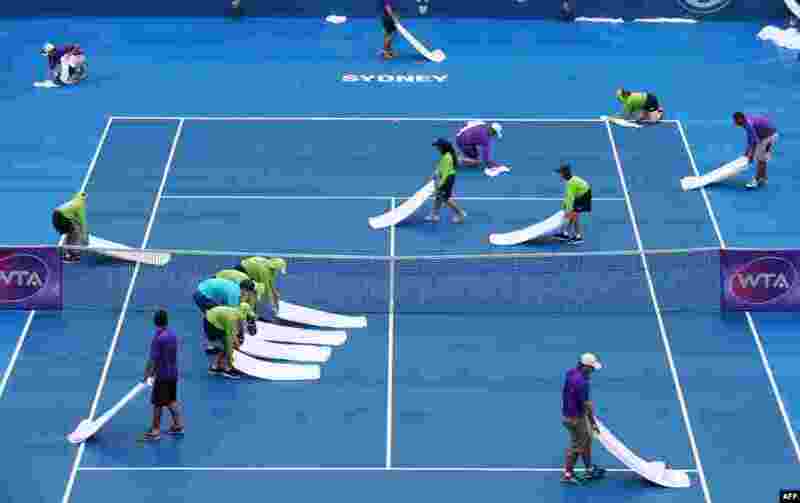 4 Ground staff attempt to dry the courts after constant rain on day one of the Sydney International tennis tournament in Sydney, Australia.